follows newly-orphaned Will Braddock’s quest in 1867 to determine his own destiny as he works on the first transcontinental railroad. Eagle Talons won the Bronze Will Rogers Medallion Award for 2015. Book two, Bear Claws, published in 2015, continues the exciting story across Wyoming and out to California in 1868, as Will helps the Union Pacific in its race against the Central Pacific. Bear Claws was awarded first place in the category of fiction by the Wyoming State Historical Society in 2016. Bear Claws won the Silver Will Rogers Medallion Award for 2016. In book three, Golden Spike, Will thwarts a scheme that might have stopped the joining of the railroads in 1869 at Promontory Summit, Utah. The first transcontinental railroad owes more to Will Braddock than the history books reveal. Golden Spike was published in July 2017. Murphy graduated from Oklahoma University. Following Army service, he worked as a civilian on all seven continents. Murphy Peak, Antarctica, bears his name. 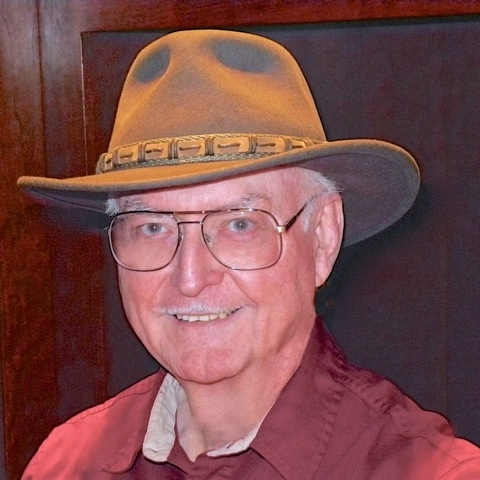 In addition to SCBWI, he is a member of Western Writers of America, the Railway & Locomotive Historical Society, the Wyoming State Historical Society, the Historical Novel Society, Anthem Authors, and the Fort Phil Kearny/Bozeman Trail Society.